You could do a lot of things in this dress, especially if you teamed it with those boots. 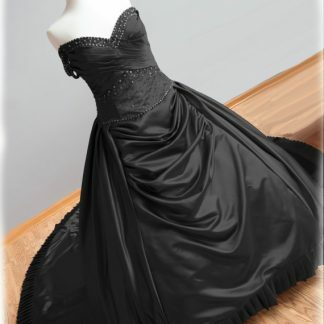 It’s a sort of modern day princess ready for action kind of dress. The collar matches the cuffs too. Oh those cuffs… When you’ve finished flouncing you can take them off if you wish, and use them for whatever springs to mind. When you’ve found the love of your life, do you ever wish that even death could not separate you? 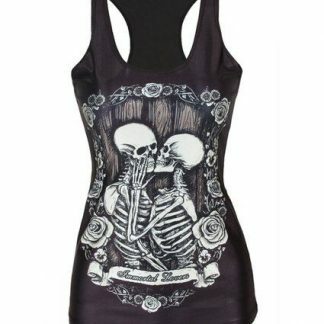 Well these skeleton lovers have got it down, still crazy about each other beyond the grave. No amount of meddling from the Grim Reaper is keeping them apart. ‘Join Me In Death’ never sounded more romantic. 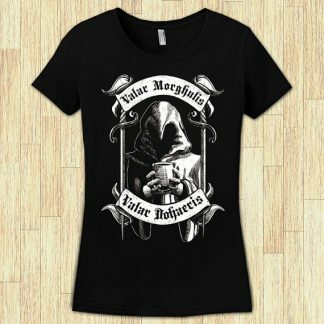 All Men Must Die. Though they don’t all die peacefully like the ones that take a sip from Jaqen H’ghar’s cup. This has to be one of the better ways to go. Just guzzle it down and croak it. Sure beats ending up in Ramsay’s clutches or having your eyes popped out by The Mountain. 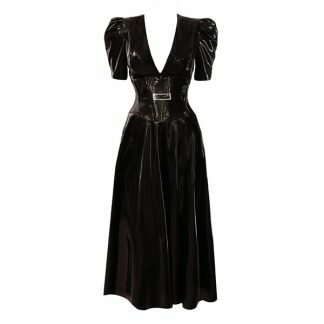 A unique take on the latex dress. Supremely feminine and elegant. 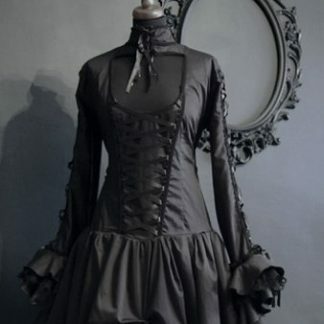 Imagine disappearing off into the night on your dream date in this provocative yet undeniably ladylike creation. Your beau will be knocked dead. Leaving you with the dilemma of how to revive them. 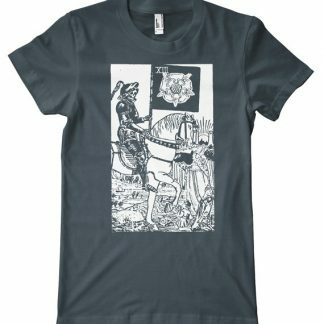 Black t-shirt depicting the No.13 tarot card of Death, riding his horse. Doesn’t he look dashing? Just as well, seeing as we’re all going to be meeting this fellow sooner or later. 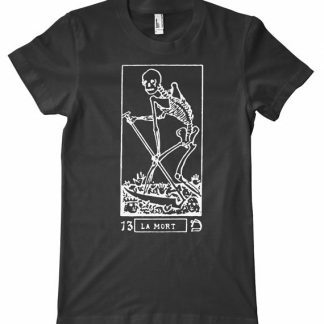 See the other version of the Death Tarot Card T-Shirt here.